There are currently 10 Waterview Dewey Beach Delaware Single Family Homes for sale. 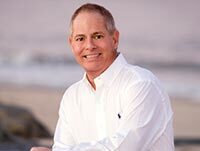 We are your Dewey Beach Delaware real estate specialist offering ALL Waterview Single Family Home sales Dewey Beach Delaware Real Estate For Sale. Discover Sandaway - an oceanfront coastal retreat with two homes on a large oceanfront .79 acre lot built in 1939 by Alexis Felix DuPont. The front main house boasts 7,035 heated square feet situated on a 26,692 square foot lot. The home features stunning details including six fireplaces, curved staircase, wrap around decks, sunroom, gourmet kitchen with Wolf Appliances and granite counters, great room, living room, formal dining room, den, sauna, basement, outdoor shower, seven bedrooms, and seven baths. Almost every room has unobstructed ocean views. The guest house is 2,922 square feet heated on a 7,906 square foot lot. Home features kitchen open to dining room and great room, large screened porch, five bedrooms, four bathrooms, patio, outdoor shower, and more! Large parking area for 10 to 15 cars and room for a pool! Both homes coey furnished. Buyer must honor 2019 rentals. 2018 rental income was $277,291 and 2017 Rental income was $243,567. Rare opportunity for .79 acres on the ocean! Rehoboth by the Sea fee simple lot with no ground rent. Private walkway to the beach shared with one other home. Enjoy the guarded beach, sunrises over the ocean, and walk to Dewey and Rehoboth restaurants and attractions. Come be a part of this oceanfront luxury estate! Discover oceanfront in Rehoboth by the Sea! This to be built ocean front custom home is available as a lot home package or lot with no builder tie-in or timeframe to build. This lot is available as a lot with no builder tie in or timeframe to build for $2,400,000 or as a lot home package for $3,006,290. Home features large 1st level with parking for four cars, outdoor shower, and storage and second level with four bedrooms, family room, and screned porch and top level with great room, kitchen, dining room, master suite, and deck overlooking the ocean. Also included a roof top deck. Elevator shaft included for future elevator or add in the optional elevator now! Heated sq. footage (3,173 sq. ft.), deck & porches (498 sq. ft.) and garage and storage (800 sq. ft.) for a total of 4,471 square feet! Lots of upgrades include hardwood floors, granite, tile, crown molding, coffered ceiling, fireplace, & more! Start living your dream overlooking the ocean, steps to the sand, and coenient to Dewey and Rehoboth attractions, shops, and dining! Just one off the ocean is where you will find this Pavillions by the Sea Coastal Refuge. Friendly and coenient floor plan with multiple living areas, multiple porches, decks, and an elevator. Five bedrooms (plus a den!) each with a bathroom. First floor offers a private bedroom the second living area with access to the private backyard with lush garden landscaping, patio and hot tub. Second floor is the main living area, with another bedroom and den. Wrap around oceanside screened porch off of the dining room extends gathering options. Top floor master suite with spa like bathroom also features an oceanside deck. 2 car garage with plenty of off street parking. Newly painted! Welcome to Rehoboth by the Sea! This to be built custom home is one off the ocean and has unobstructed ocean views right down Clayton Street! This is available as a lot with no builder tie in or timeframe to build for $1,400,000 or as a lot home package for $1,934,160. Home features large 1st level for parking and storage and second level with great room, kitchen, dining room, master suite, and wrap around screen porch overlooking ocean. Top level features four more bedrooms and large covered deck overlooking the ocean! Elevator shaft included for future elevator or add in the optional elevator now! Heated sq. footage (3,060 sq. ft.), deck & porches (889 sq. ft.) and garage and storage (1,500 sq. ft.) for a total of 5,449 square feet! Lots of upgrades include hardwood floors, granite, tile, crown molding, coffered ceiling, fireplace, & more! 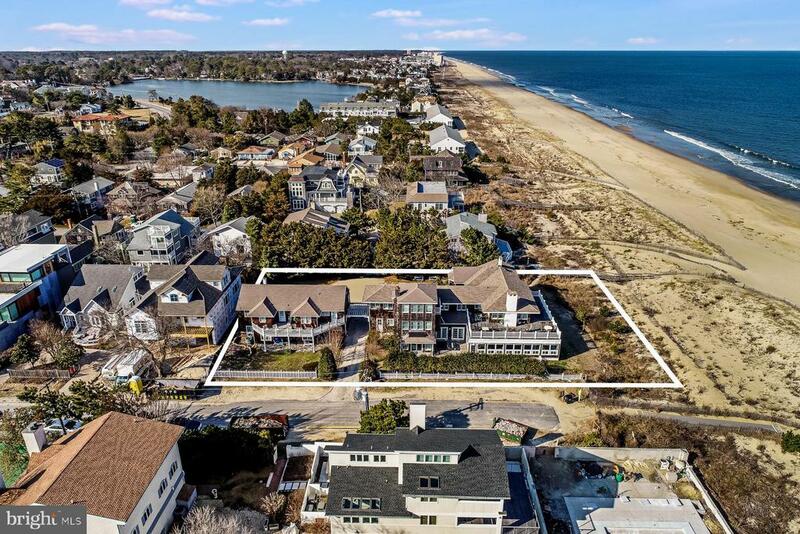 Start living your dream overlooking the ocean, steps to the sand, and coenient to Dewey and Rehoboth attractions, shops, and dining! No comparable 6 bedroom, 3 bath dwelling exists like this on Lake Comegys at the north west end of Chesapeake St in Rehoboth by the Sea/Dewey Beach. A great place to live, play or rent for superb income of $4,600+ per week. A comfortably flowing home with screen porch, waterfront deck, outside shower, good off-street parking and WALK to all the fun of Dewey Beach --the sand, sun, surf -- all the great restaurants and entertainment. A quick trolley ride or stroll into Rehoboth along Silver Lake. Tankless Renai Gas hot water, new AC in 2016. Two bedrooms on main living level with bath and four bedrooms, 2 baths on the upper level. Very little you have to add to make it totally livable for you --like Bring Your Toothbrush and a Bathing Suit! You might just being buying some 2019 Rental Income.